Our goals are your goals. We believe in making the estate planning process easier to understand, comfortable and comprehensive, ultimately giving you peace of mind that your affairs are in order. 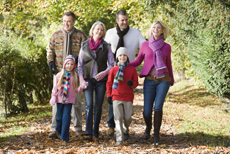 We believe that Estate Planning is for Everyone! We do not charge hourly rates for estate planning work and will quote you a flat fee after our initial consultation. We believe clients are uncomfortable with hourly rates because of the uncertainty of knowing the final cost of estate planning services. We also foster and promote open communication with clients and do not want you to feel that each time you call or we have a conversation, your bill is increasing. We believe in educating clients so that you actually understand your estate plan. Many individuals will set up an estate plan with an attorney and walk away not fully understanding nor appreciating the documents and concepts put into place. We believe in listening to clients and developing a plan that matches your goals as closely as possible. We do not embrace the “one-plan-fits-all” philosophy. We also believe in seeing clients through the entire process – including the funding of your trust, if applicable. All too often, individuals will create an excellent plan that includes a trust, only to procrastinate and never get around to re-titling assets to the trust. In our opinion, your estate plan is not completed until the trust is funded with the appropriate assets and non-trust assets have the proper beneficiaries designated.